I started to respond to the conversation on Twitter, but 140 characters just isn’t enough. Jane is absolutely right, managing learning is not the ultimate goal, improving performance is. But somebody misled Jane, xAPI is not about managing learning. xAPI is about improving interoperability to foster the creation and use of tools that facilitate effective learning environments. xAPI is about monitoring learning activities so we can better understand what leads to improved performance and what wastes time. xAPI is about freeing up data so we can learn anywhere; it is about getting outside of managed learning environments. 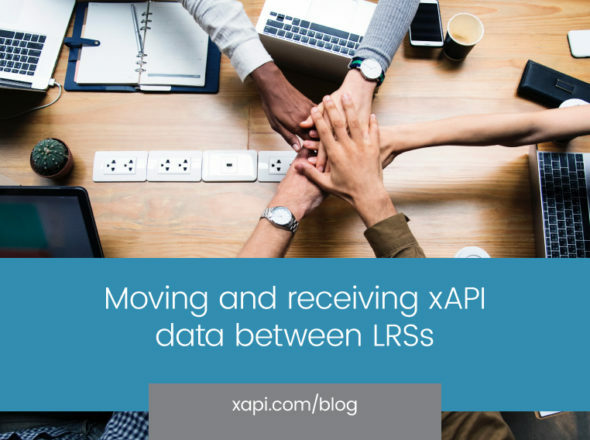 I’m obviously biased, and perhaps wildly optimistic, but I truly believe that xAPI will enable a revolutionary improvement in our ability to deliver truly effective learning experiences. Note, I’m not saying xAPI is actually doing anything in and of itself to improve learning, but rather xAPI is providing a foundation upon which innovative systems tailored to individualized needs will be built. xAPI is going to be important. It is important to us that everybody understand what it does, what it doesn’t do, and what that means for our industry. There’s a lot of material on tincanapi.com that dives deeper into the points above. If there’s still something that you (Jane, or anybody reading this) don’t understand, want to take a deeper dive on or just chat about we’re here anytime and happy to talk.